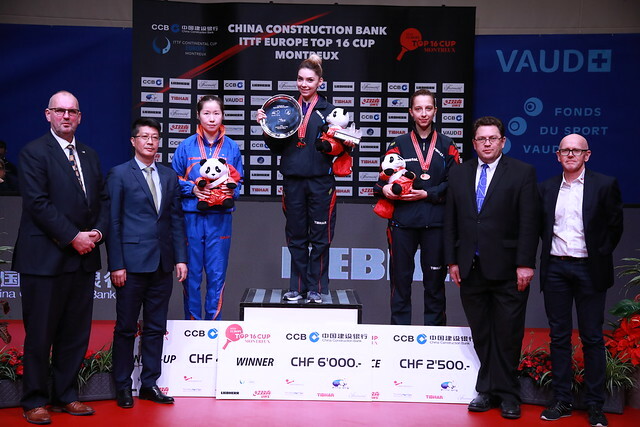 Adopted for the first time at the Seamaster 2017 ITTF World Tour Austrian Open, the same principles were adopted for umpires and referees on duty at the recent China Construction Bank 2018 ITTF Europe Top 16 Cup, which concluded in Montreux on Sunday 4th February. Supported by the Swiss Table Tennis Association and the China Construction Bank, in addition to a daily allowance all travel costs were paid. Initiated by Werner Thury, Deputy Chair of the ITTF Umpires and Referees Committee, selection was based on performance in recent years; all the umpires possessed the Blue Badge award, the highest in officiating. Eight were present for the first day of action, six for the second and concluding day. The system demands the highest levels; thus just as the players on view prepared for their matches, so did the officials; first in the venue and last out as a team. 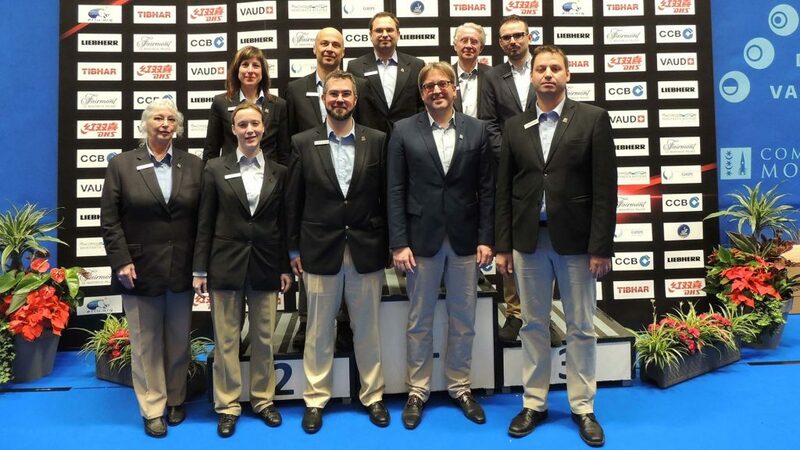 Notably the team spirit between the officials was very high, the umpires following a rotational process of officiating alternate matches; therefore throughout a consistent high level was maintained, a fact noted by Georg Silberschmidt, the Tournament Director and Didier Leroy, the Competition Manager.